At RDM Cubicles, we take great pride in delivering a fast and efficient cubicle systems service. Operating Nationwide, RDM are able to provide washroom cubicle solutions to most locations of the UK , and with guaranteed delivery timescales. In addition to our washroom cubicles, we can also supply Wolverhampton customers with fully integrated plumbing systems and panels enhanced by our wide range of solid or post formed vanity units. Once you have discussed and placed your order with us, we can then schedule your delivery for timely dispatch. Being located on the borders of the Black Country our delivery timescales to the Wolverhampton area are usually under 1 hour. To discuss your specific requirements, please call direct, or simply fill out our contact form requesting a callback. 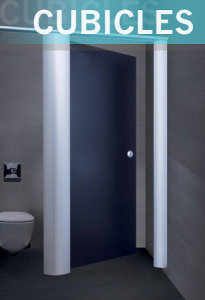 Download your Washroom Cubicles Quick Reference Guide to all RDM Cubicles ranges today. Includes, sample colour ranges and cubicle types / finishes available for delivery to your door in Wolverhampton. Save to desktop or simply view in your browser.